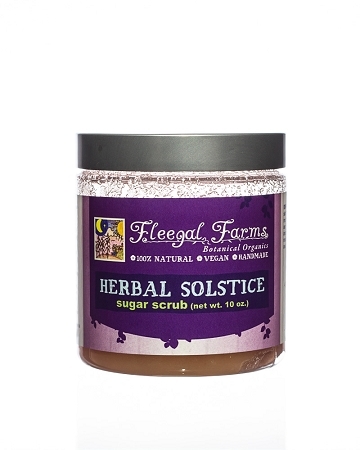 This scrub is scented with pure essential oils of lavender, geranium and ylang ylang. These botanicals are said to calm the mind and added pink clay helps to keep pores clear while you exfoliate and relax. INGREDIENTS: Pure cane sugar (sucrose), oils of olive (olea europaea), rice bran (oryza sativa), apricot (prunus armeniaca), sweet almond (prunus dulcis), avocado (persea gratissima), sesame (sesamum indicum), castor (ricinus communis), and shea butter (butyrospermum parkii), pure essential oils, french pink clay (kaolinite). This product is what made me FALL IN LOVE with Fleegal farms. 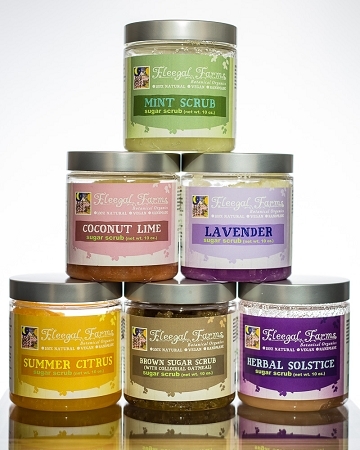 The lingering moisturizing properties and amazing fragrance has made me a loyal consumer for life, who needs an expensive spa treatment when you have Fleegal Farms Sugar Scrubs!